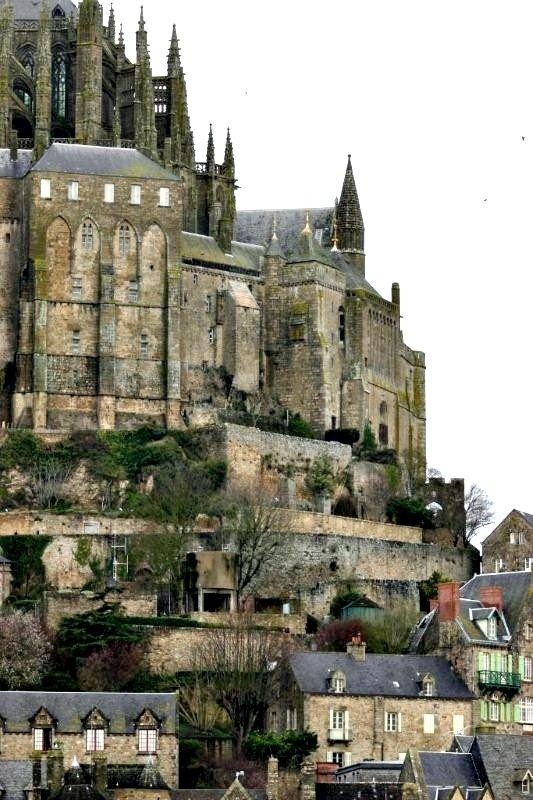 Mont Saint-Michel is a rocky tidal island 247 acres (100 ha) in size, and is a commune in Normandy, France. It is located approximately one kilometre (just over half a mile) off the country's north-western coast, at the mouth of the Couesnon River near Avranches. The islands highest point is 92 metres (301 feet) above sea level. The population of the island is 44, as of 2009. The island has held strategic fortifications since ancient times, and since the 8th century AD been the seat of the monastery from which it draws its name. One of France's most recognisable landmarks, Mont Saint-Michel and its bay are part of the UNESCO list of World Heritage Sites and more than 3,000,000 people visit it each year.